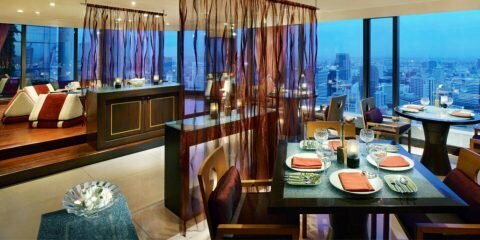 Celebrate Easter Sunday and enjoy premium buffet delicacies at Espresso restaurant, InterContinental Bangkok. 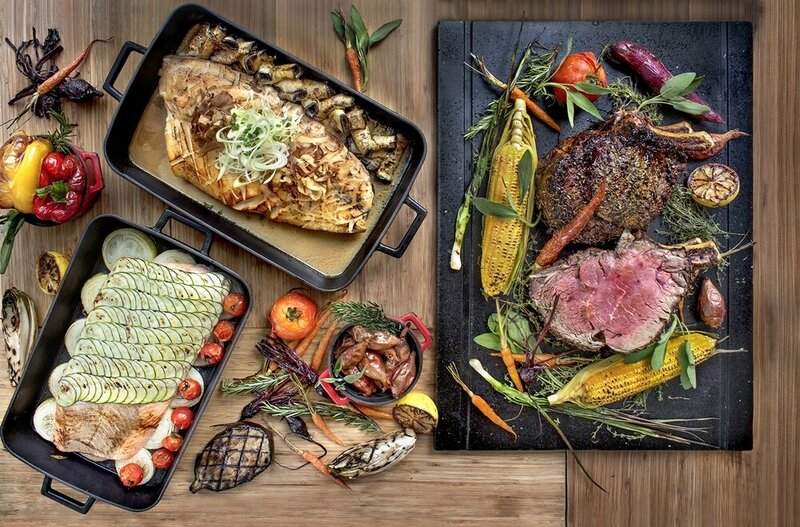 Easter Brunch with Children Activities – April 1, 2018 – Millennium Hilton Bangkok today introduced its Easter Brunch on The River which will be available at Flow, the hotel’s all day dining restaurant. 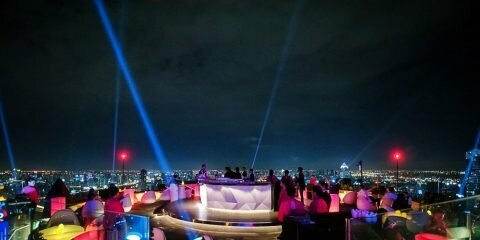 Beverage : THB 1,190++ per person unlimited free flow of sparkling, white & red wines, rose wine and local beer. THB 490 nett per person free flow Singha draught beers, two hours. 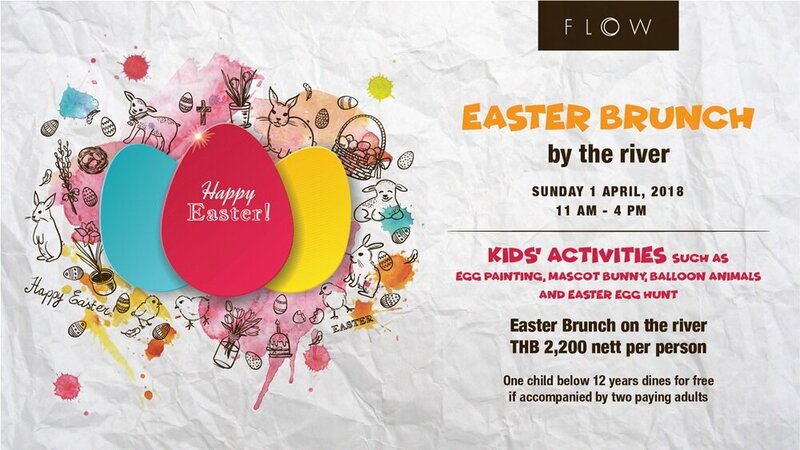 Designed to attract young guests, Flow can ensures that the kids will be having a great time with a variety of kids’ activities such as Egg painting, mascot bunny, balloon animals and Easter egg hunt. Adults will be entertained by the two veterans Jazz Duo, Jazz Duo 9 Guitar & Saxophone that have both played with top names in the music business internationally, Khun Pakin Isarakul. *Valid only Sunday, 1 April 2018. Time 11.00 p.m. – 4.00 p.m. 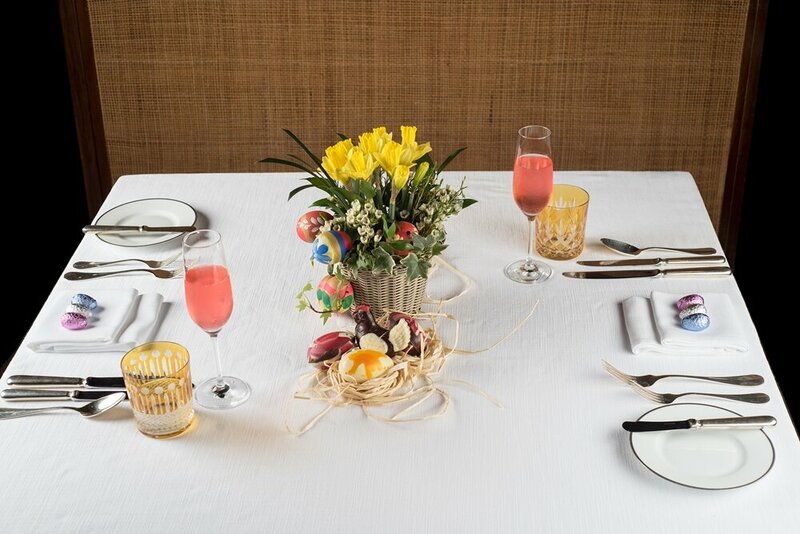 Opening Time: 11.00 a.m. – 4.00 p.m.
Bangkok, 19 March 2018 – Celebrate Easter Sunday this year and enjoy indulgent treats and sumptuous Easter brunches with Grand Hyatt Erawan Bangkok. Enjoy a range of dining options in style at The Dining Room, Tables Grill and Spasso, or pick up a chocolate Easter egg from Erawan Bakery. 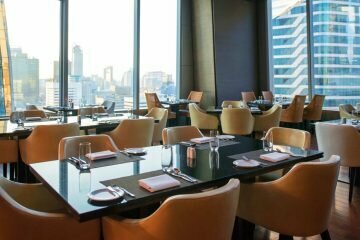 A sumptuous array of international dishes are on the buffet including a fresh seafood counter, pan-fried foie gras, New Zealand Lamb Rack, Australian Black Angus Rib Eye, Grilled Petuna Ocean Trout, Slow-Roasted Half Chicken and much more. Children will be entertained by our Easter activities. Tables Grill offers more sumptuous dining on Easter Brunch with an array of live station options, including Fine De Claire on ice, Champagne Risotto, Lobster Bisque, Flamed Scallop Pernod, Beef Bourguignon, Selection of European Charcuterie and Cheeses, Mozzarella Tomato Salad and Caesar Salad, Chocolate Fountain and a decadent choice of desserts and much more. 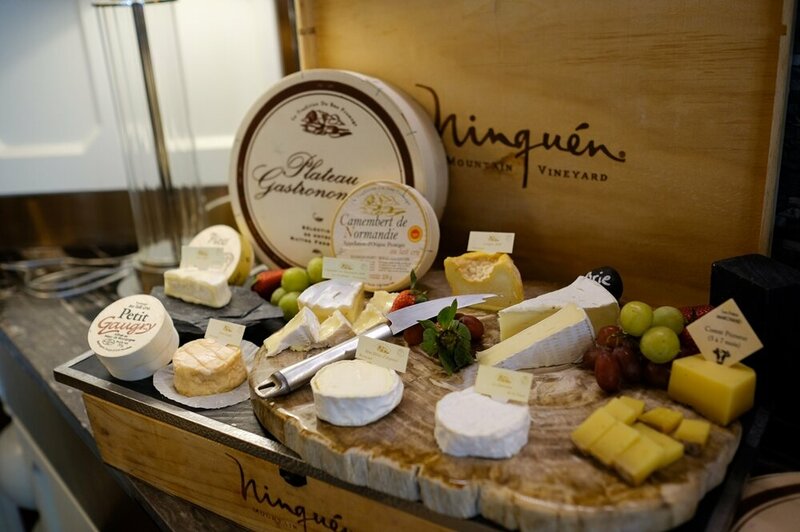 In addition, guests can indulge in an extensive beverage selection, including premium free-flowing Louis Roederer Brut Premier, white and red wines, beers, soft drinks, mocktails, iced tea and mineral water. 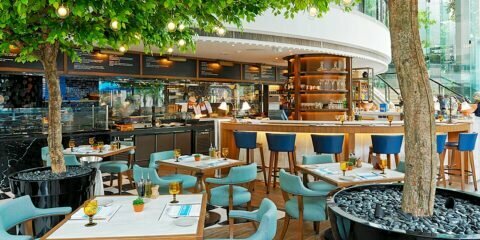 Celebrate Easter at Spasso on Sunday where you can enjoy our Italian brunch. Authentic Italian antipasto, prepared family style, dominate the room. The signature pizzas arrive straight from a wood-fired oven. 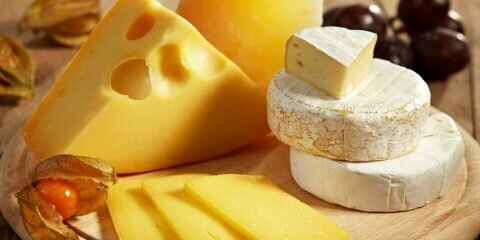 Do not miss the slow-roasted baby lamb, organic salad buffet, a wide selection of Italian regional specialties, imported cheeses and delicious desserts. 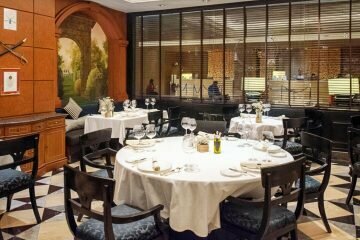 Our authentic Italian lunch with an endless antipasti table is also available daily. Sunday Brunch on Easter Day at Marriott Café is available on April 1st, 2018 from 11.30hrs – 14.30hrs at 2,125 ++ Baht per person; Kids between 4 and 11 years old get special price at 1,225++ baht per person. Complete the perfect celebration with sweet Easter desserts from our Bangkok Baking Company. With our cheerful selection of delicious, Easter-inspired bakery goodies, ranging from adorable Easter cake pops to impressive full-size cakes, you’re sure to have a sweet Easter; Available from 15 March to 1 April 2018. The Mandarin Oriental Shops celebrate Easter Day with egg-shaped treats and sweet little rabbits, featuring the Easter Cake (Salted Caramel with White Chocolate and Orange Cake), Ginger Carrot Cake (Ginger with Carrot Cake Cream Cheese), Bunny Cake / Chicky Cake (Banana with Peanuts and Molten Cake) all priced THB 95 net. These treats and a variety of other delectable Easter delicacies are available at all Mandarin Oriental Shops: Siam Paragon, Central Chidlom, Gaysorn Village, Emporium and Lobby Corner at Mandarin Oriental, Bangkok from 17th March until 2nd April 2018. Shangri-La Hotel, Bangkok invites guests and family to have an exciting Easter weekend with an enchanting Easter Brunch and egg-citing children’s activities at NEXT2 Café on 1 April 2018. The special family feast with the breath-taking view of the Chao Phraya River is priced at Bt2,888 net for adults and Bt1,444 net for children aged 4 to 11 years. 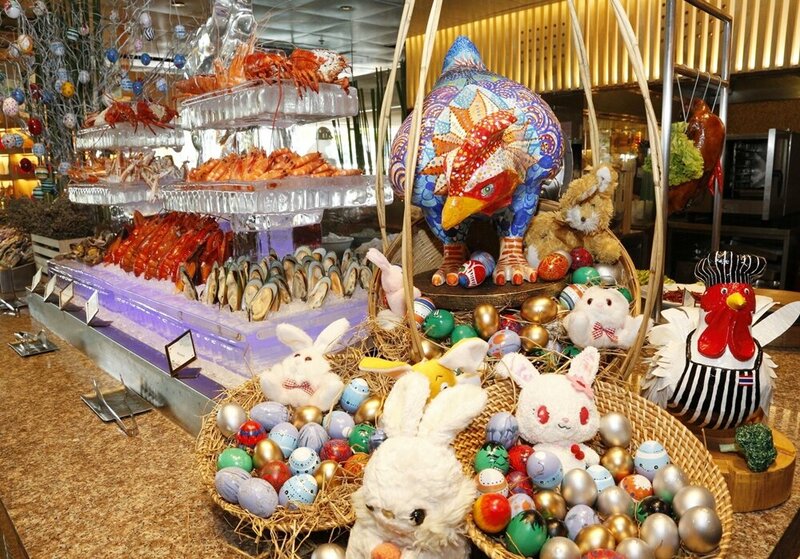 Guests can celebrate Easter Sunday Brunch with the bountiful all-you-can-eat international seafood buffet heightening the Easter spirit with special items for the occasion and enhanced with live jazz music. NEXT2 Café will amaze diners with a fresh selection including Alaskan king crabs; Maine lobsters; oysters from the three continents, including France, the United States and Australia; a parade of aged cheeses, grilled food and flambé, Middle East and Creek food, as well as overflowing assorted desserts, chocolates, seasonal tropical fruits and ice cream. In addition to a ‘children’s favourite’ buffet selection, the restaurant has also prepared a fun-filled range of Easter-themed activities to delight children at the Kids’ Zone. They may join the Easter egg hunt and spoon egg racing, among the usual fun activities, such as a wobbling balloon house, face and body painting, entertainment by friendly clowns and close-up tricks by an amazing magician. 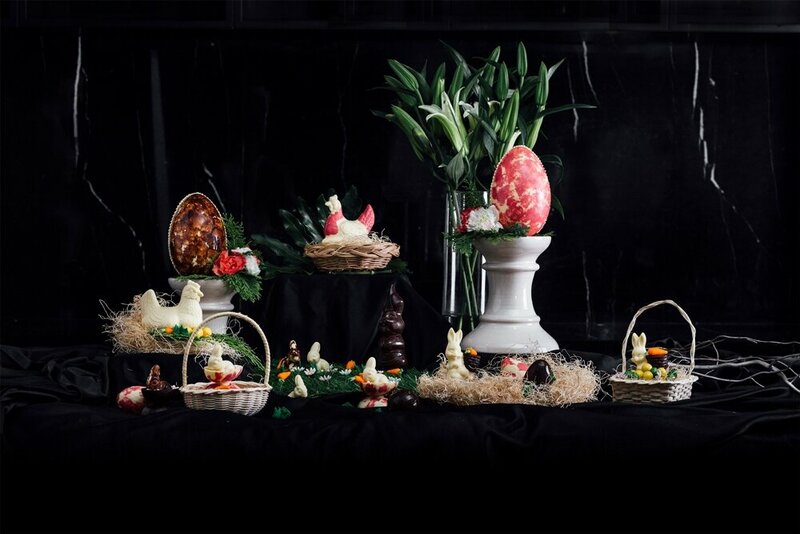 Shangri-La Hotel, Bangkok’s Executive Pastry Chef Claus Olsen presents special Easter confectionery creations in celebration of the Easter holidays at The Chocolate Boutique from 19 March to 1 April 2018. Chef Claus will make this Easter holiday merrier with his special homemade Easter goodie creations. Guests can savour a range of indulgent melt-ilicious delights or send them as traditional Easter greetings to their loved ones. 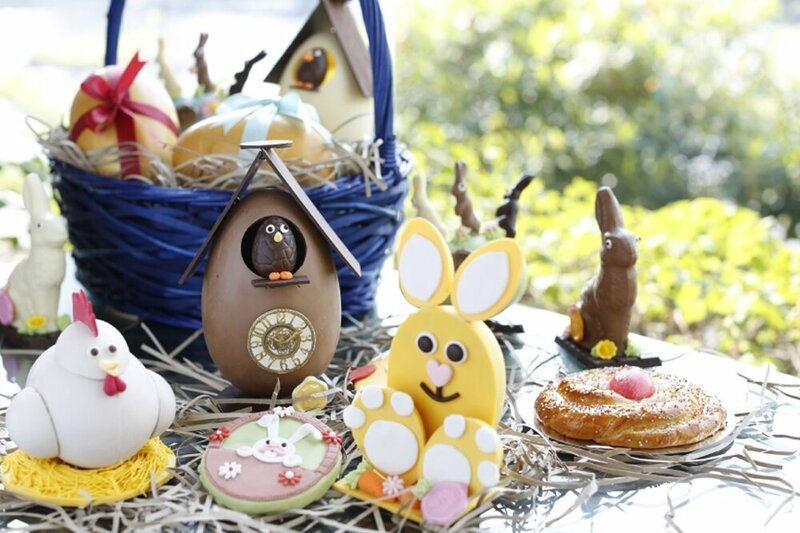 These indulgent treats include Easter Cookies, The Golden Easter Egg, Kuku Clock Egg, Chocolate Bunny, Chick and Nest, Bunny on Eggs and Pane di Pasqua Italian Easter bread. Prices range from Bt180 to Bt800 net per piece. 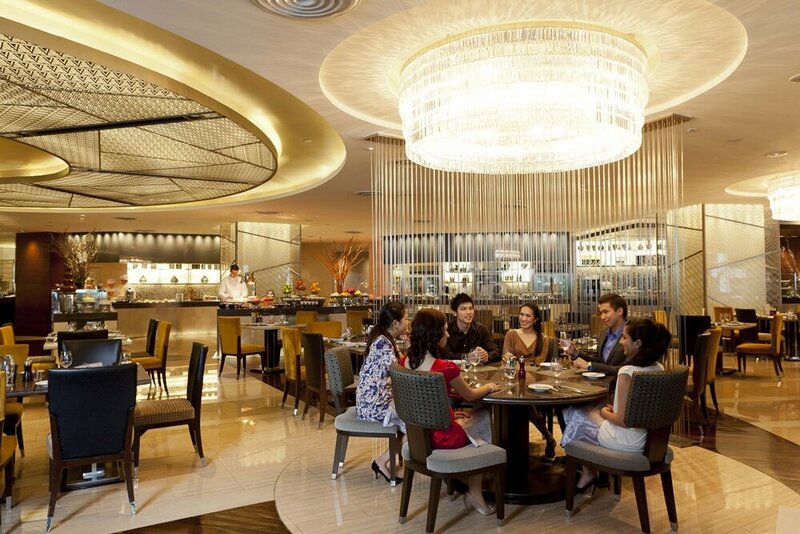 Bangkok, March – This Easter Sunday on April 1, treat your family to a feast at the spectacular Sunday Jazzy Brunch. 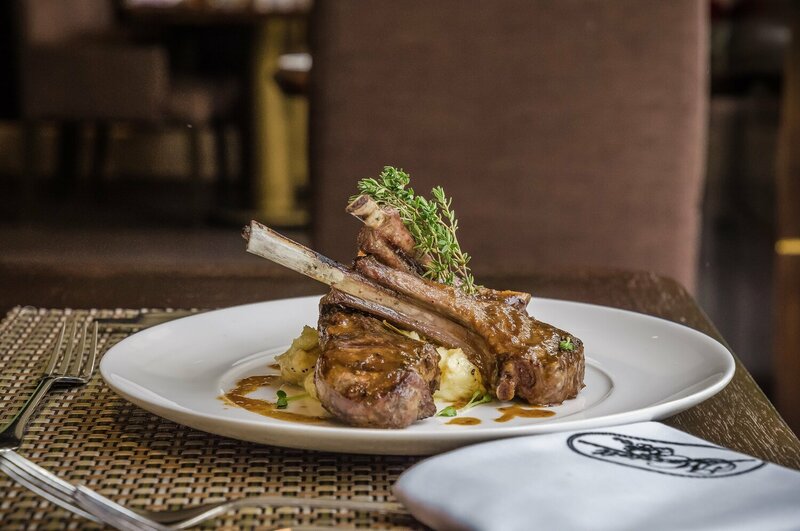 Held across three award-winning venues, The Living Room, Rossini’s and basil. 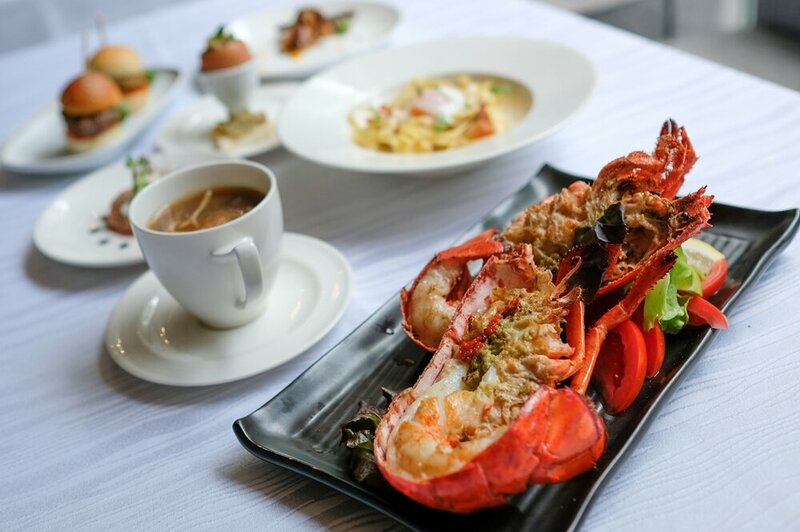 The Sunday Jazzy Brunch is renowned as Bangkok’s finest buffet covering Italian, Thai, Japanese, Chinese, Indian and Middle Eastern cuisine. 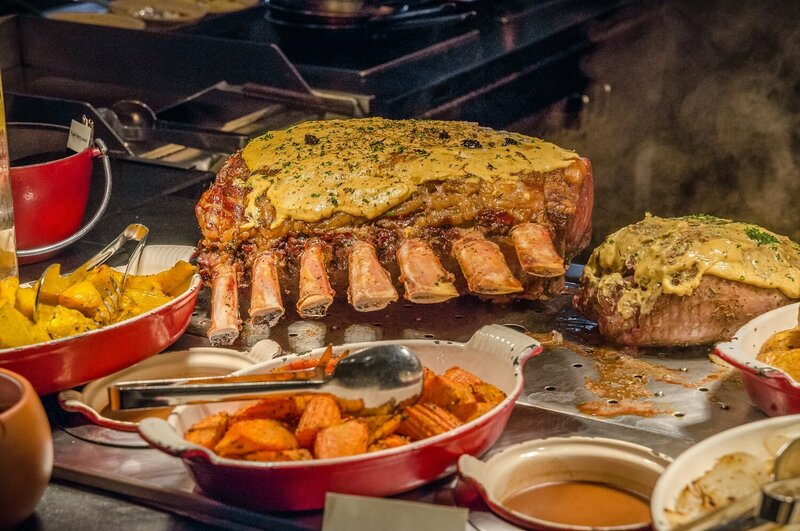 At live cooking stations our talented chefs cook à la minute dishes to order, such as foie gras, while the carvery serves traditional Sunday roasts including Wagyu prime rib rosemary, thyme,as well as Australian lamb rack thyme. 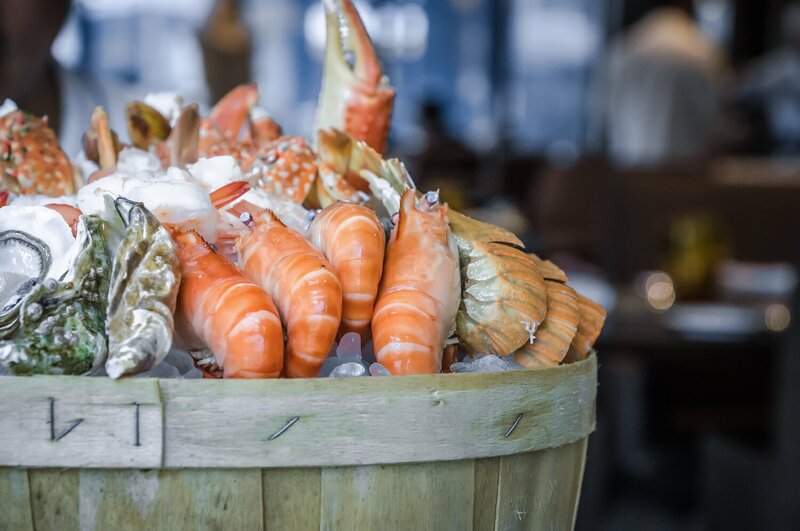 An enticing display of freshly netted seafood includes French oysters, Alaskan king crab, sushi and sashimi, and much more. 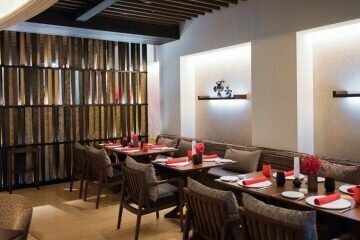 Lovers of exotic flavors can also experience authentic Indian curries, spicy Thai temptations and delicate Chinese dim sum delights. 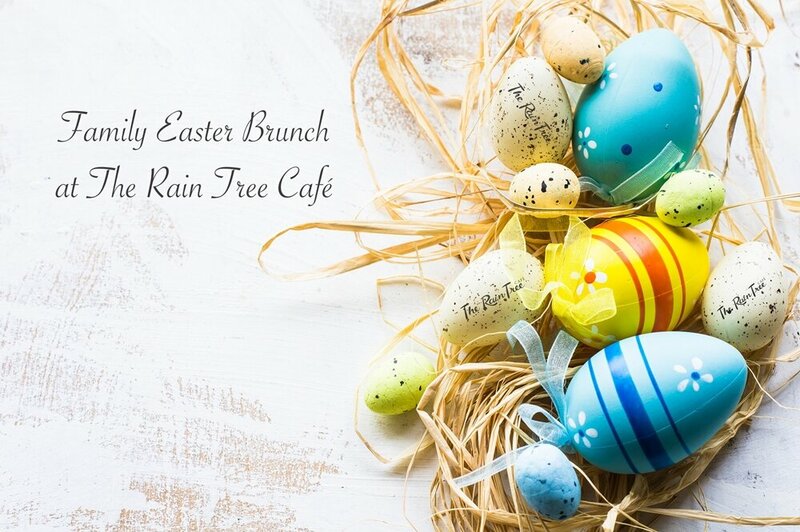 On Easter Sunday, in addition to the mouthwatering array, there will be a selection of spring dishes that suit your Easter Brunch. Highlights include Roasted honey glazed ham with apple sauce, baked salmon trout and roasted artichoke, while the hot station serves Oysters Rockefeller, broiled oysters, Alaska crab cakes with corn Salsa, and grilled black cod with spinach and toasted pine nuts relish as well as the hot cross buns. For those with a sweet tooth try the traditional Vanilla crème in eggshell, Easter Black rice pudding, Pastiera cake, and a variety of Bunny cupcakes along with an extensive selection of Italian Ice Creams. 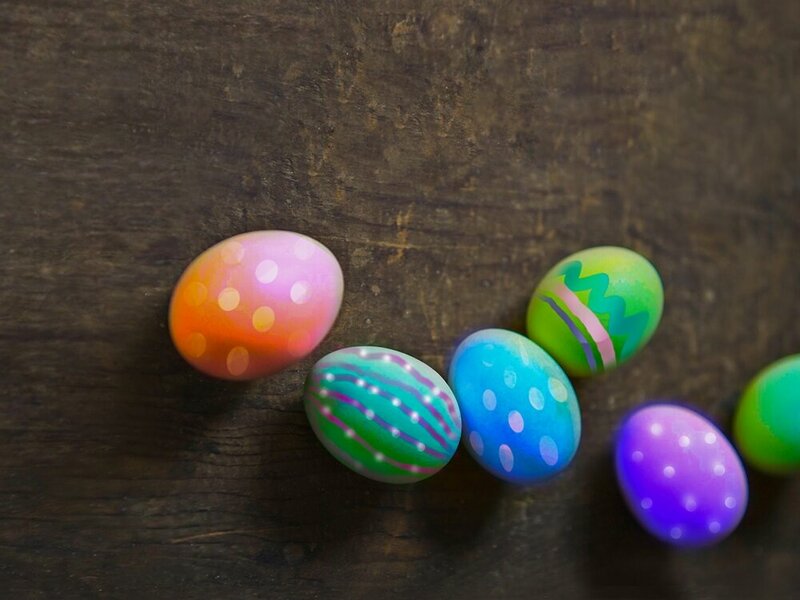 During the Easter Sunday Jazzy Brunch, children can enjoy egg painting, egg hunting, children coloring corner, and a TV room to watch their favorite movie. They will also have the chance to meet our Sunday Jazzy Brunch mascot Yim Yim the elephant. 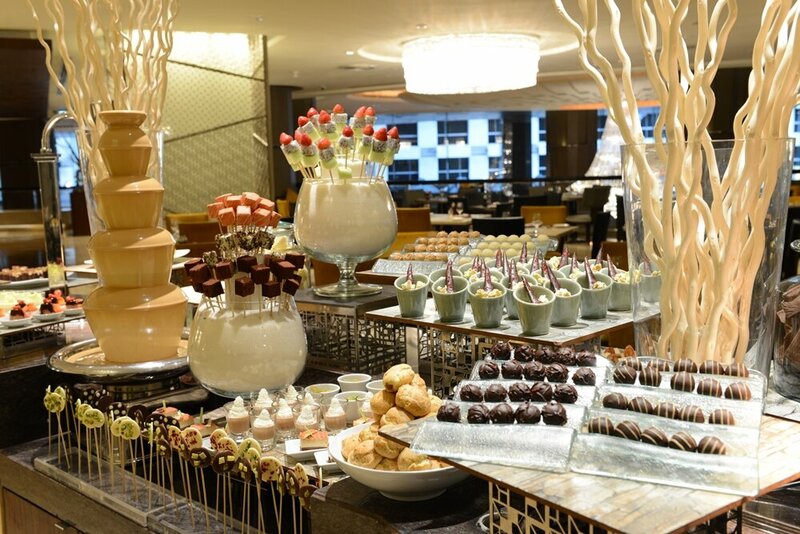 The Easter Sunday at the Sunday Jazzy Brunch is served on Sunday April 1 from 12.00 to 15.00 hours on level 1. The Easter Sunday at the Sunday Jazzy Brunch is THB 2,800++ per person with a special promotion of free flow for only THB 999++ per person (no additional discount). 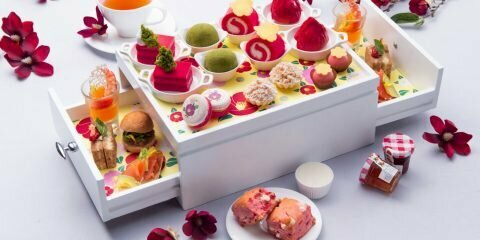 Bangkok – 13 March 2018, The Rain Tree Café at The Athenee Hotel, a Luxury Collection Hotel, Bangkok, renowned for its gourmet international a la carte quality buffets, is now lining up one of the year’s most elaborate and boldest Sunday Brunches of the dining calendar. 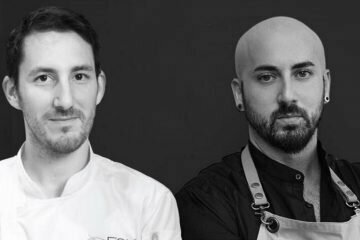 Offering at least six interactive live cooking stations at each session, there is more scope than ever for the international chefs team to be creative and guests to be indulgent on Sunday Brunch. 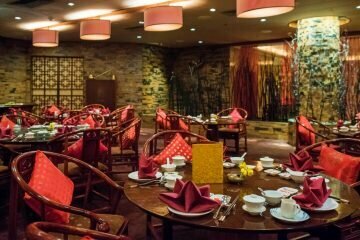 Diners can enjoy highlights such as a fresh quality seafood on ice with grilled live unlimited lobster and many more. 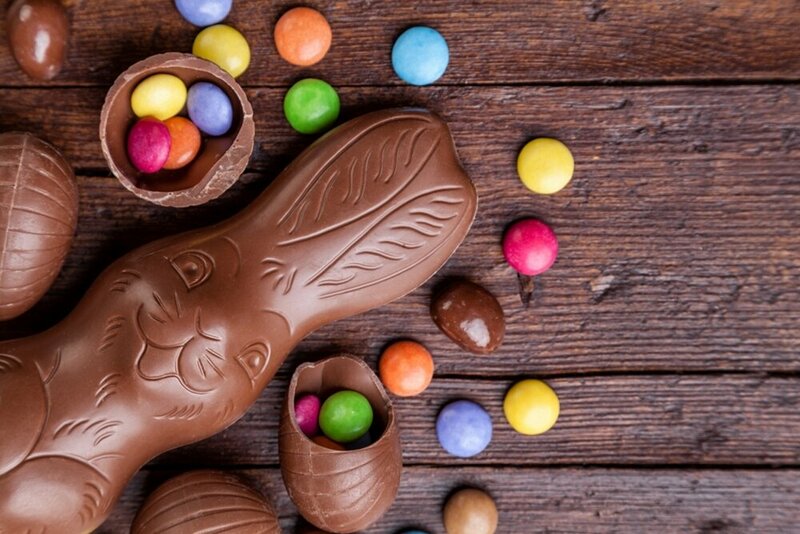 Easter is a-coming on Sunday 1 April 2018, with all the seasonal goodies, games and more are being rolled out for the gastronomic pleasure and family fun they bring. 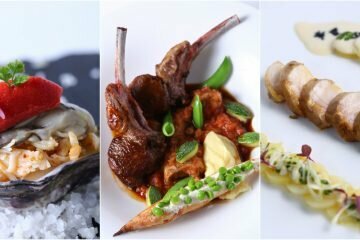 The spring lamb is arriving succulently roasted, the hot-cross buns are emerging fragrant from the oven, and the chocolate Easter eggs are being laid in various flavors. Exciting Easter activities to enthral the young ones include a traditional Easter Egg Hunt (get there early! ), balloon sculpture creation, fancy face painting, and hysterical clowns. The fun and indulgence starts at midday sharp and last through to mid-afternoon, at 03:30 p.m.
for children aged 4 – 12 years old, free for under 4 years. 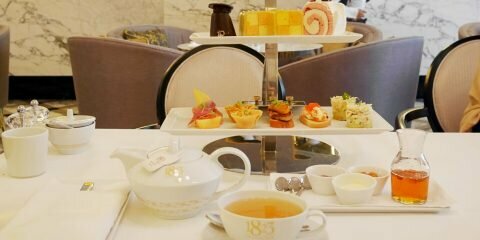 SPG® and The Athenee Club membership benefits apply (Food only). 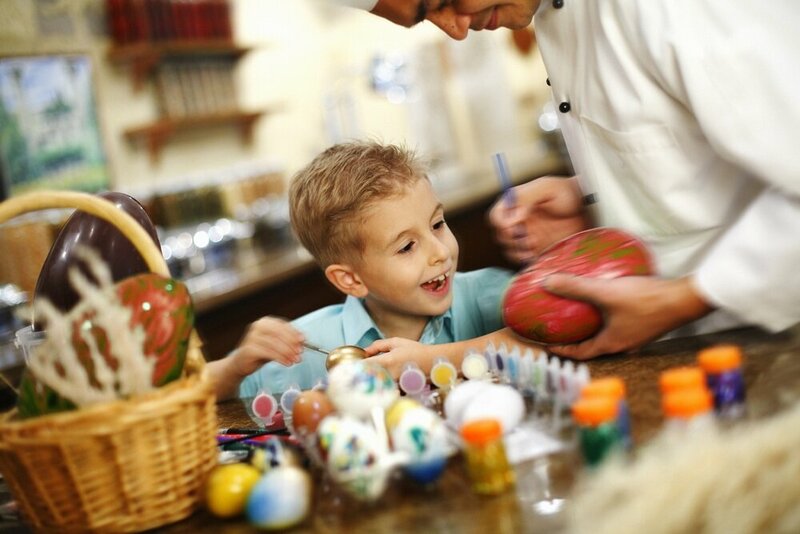 Easing the young ones into the Easter spirit promises to be a nourishing experience for youngsters and parents alike at The Westin Grande Sukhumvit Bangkok’s annual Easter Workshop on Saturday, March 31, 2018. One child and one complementary parent share the pleasure of expressing Easter sentiments by painting an original, very personal Easter Chocolate Egg to take home and enjoy on Easter Sunday, followed by a wonderful lunch together. Starting at 10.30 am and concluding at 12.00 noon, the fully supervised and equipped, hands-on class is recommended for children aged 6-12 years. 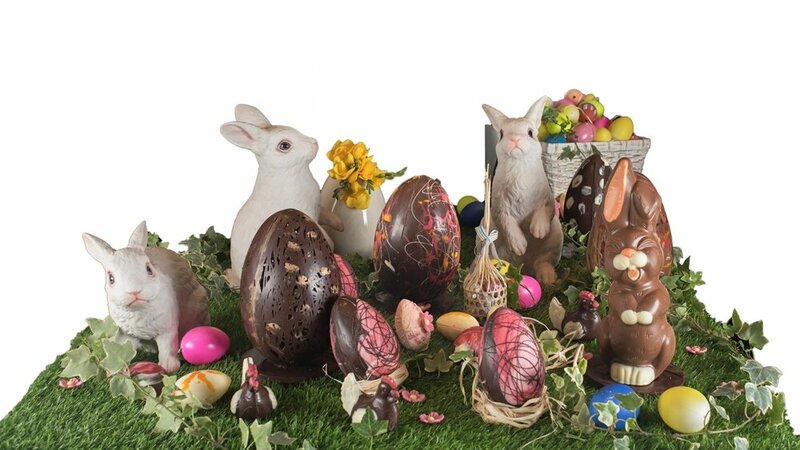 Having explored the vibrant Easter heritage and worked up an appetite, each child, accompanied by one adult follows on with a complimentary indulgent international buffet lunch at Seasonal Tastes restaurant. Priced Baht 1,699 net for one child (12 or younger) and one adult including the workshop and buffet.